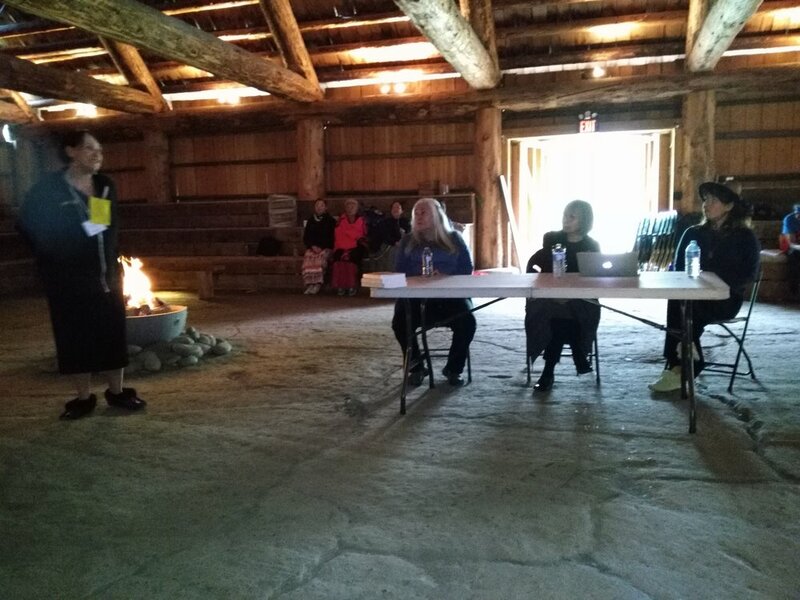 Thank you all again for a wonderful Indigenous Literary Studies Association conference, Ethics of Belonging: Protocols, Pedagogies, Land and Stories, held at Stó:lō Nation this past June. We are forever indebted to the generosity of local community leaders and thank everyone who helped us. In particular we are grateful for the work of Sonny McHalsie (Dr. Naxaxalhts'i), who acted as our Speaker and shared many teachings; we are grateful for the caring guidance by Shirley Hardman (Swelchalot Shxwha:yathel) who along with the wonderful work of Brenda Pike also acted as our Floor Manager; and we feel so blessed to have had Eddie Gardner (T’it’elem Spath), Arthur Lyle Leon, Alannah Young Leon, and Dorothy Christian drum for us during the gathering and lead us ensure that we conducted the events in a good way. One example of this that remains in my heart is the opportunity we had to honour Cree poet and editor Connie Fife, who passed on this past year. Poets and long-time friends of Connie, Rita Wong and Joanne Arnott (Métis), invited Connie’s son Russell and his young family to join us. We then had the opportunity to recognize Connie’s tremendous contribution to Indigenous literature in Canada, and to mark her loss by blanketing Russell. All of this work would be unimaginable in a typical conference context but working together as “the ILSA family,” the role the ILSA council played in the Stó:lō teaching longhouse, and guided by good teachers, we were able to acknowledge a writer who contributed so much to our community and whom we miss, and to honour the family she loved so much. Of course, we also have to thank all of you who shared your writing and your research in a variety of ways or came to listen and think about new ways of reading and teaching Indigenous literatures that can be responsive and responsible to Indigenous communities and people wherever we are located. We are so glad that we were able to celebrate the inspiration of Robin Parker who joined us to announce the funds that she has raised through crowd-sourcing for emerging writers in Canada. Please stay tuned for forthcoming announcements made on October 21st about the prizes that we are calling the Indigenous Voices Awards, or IVAs. For the inaugural year of the prizes, ILSA will be announcing a host of awards that will all be distributed at our next conference in Regina at the end of May, 2018. In subsequent years, we plan to award two Indigenous Voices Awards annually, adjudicated by prestigious judges chosen by ILSA. Beginning in November 2017, Jesse Rae Archibald-Barber will become ILSA’s fourth President. Jesse is already planning the Regina conference scheduled for May 28th to 30th, 2018 as part of Congress. We will be sending out our cfp next month and look forward to meeting together again. Please note that ILSA elections will be held in October with nominations for the Graduate representative, the Early Career Scholar, the Secretary, and the President-Elect due by September 30th, 2017. We will be holding the on-line elections for 30 days in October, with members in good standing being eligible to vote. Along with these elections is the vote on the amendments to the ILSA Governing Code. Please note that these are the first amendments made to the code since it was written by the founding committee in October 2013, as a first step in establishing ILSA. Explanations for the changes are below. When they email their choices for the ILSA elections, Associations members will also be asked to vote that they a) approve the amendments or b) do not approve the amendments. Your participation in this process is essential for the health of ILSA and any questions about the amendments are welcome at ilsa@sfu.ca. 1. ILSA votes in a President-Elect, who then goes on to become the President and then the Past-President. Initially the Past-President was envisioned to be a consultant but in actual fact, the Council has relied on the historical memory and experience of the Past-President to deal with a variety of issues. The amendments made to the Governing Code add the Past-President to the Council as a voting member. Also, given ILSA’s support of the recent establishment of the Indigenous Voices Award (the IVAs), we would like to add to the duties of the Past-President the role of Chairing the IVA committee. 2. Originally, when the Governing Code was first put together, we did not have a position for an Early Career Scholar. At the first ILSA meeting in Six Nations in 2015 we agreed to create the role of Early Career Representative for a term of two years. The subsequent amendments now reflect this decision. This means that council now has seven voting members: President, President-Elect, Past-President, Secretary, Treasurer, Grad Student Representative, and Early Career Scholar. 3. One of the commitments that ILSA has made early on is to hold our conference at Congress every other year and then on alternate years hold conferences in community. While we can confirm that Congress is held at the end of May, conferences in community need to accommodate the needs of the host community. For example, the first ILSA conference was at Six Nations in early October 2015. 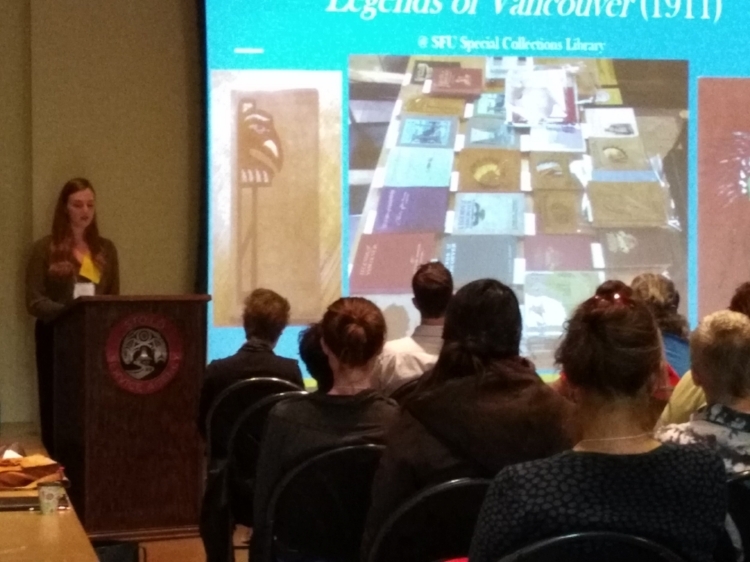 The third ILSA conference was held at Stò:lō Nation in Chilliwack in mid June 2017 in order to precede the NAISA conference held at UBC on Musqueam territory. Subsequent community conferences could be held at any time of year. Therefore, we have adjusted our deadline for elections so that future councils can hold them as early as the summer and as late as October. 4. In the original Governing Code, there was no accommodation for council members to submit their resignation early. Given that this will happen from time to time due to illness or workload or a variety of other factors, we have included a clause that allows a process for resignations when needed. Welcome to ILSA, the Indigenous Literary Studies Association. ILSA is a scholarly body based in lands claimed by Canada that focuses on the teaching and study of Indigenous peoples' literatures. ILSA's guiding purpose is to honour the history and promote the ongoing production of Indigenous literatures in all forms; to advance the ethical and vigorous study and teaching of those literatures; to reaffirm the value of Indigenous knowledges and methodologies within literary expression and study; to foster respectful relationships within and between academic and non-academic communities; to facilitate mentorship and professional development; and to advocate for responsible institutional transformation. The ILSA website and association help bring established and new scholars and writers together, to provide resources for teaching, studying, research, conferences, and publishing in a diverse range of Indigenous literary activities. We are currently planning our 4th Annual Gathering at Congress 2018 in Regina. Details coming soon! If you are not already a member, please visit the Membership Page and consider joining in support of this new and exciting endeavour!